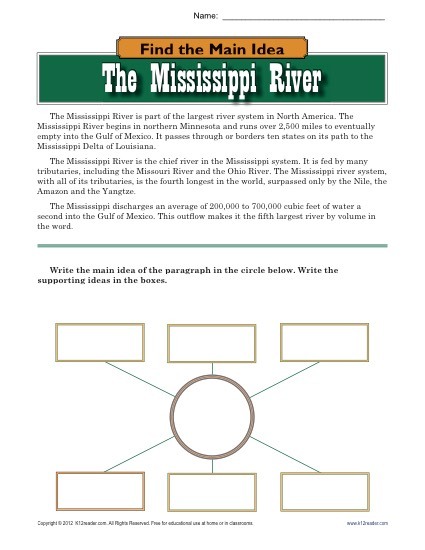 A main idea worksheet about the Mississippi River. Students read the passage, write the main idea of the paragraph in a circle and supporting ideas in boxes. The worksheet is written for students in high school but may be used in other grades as appropriate.